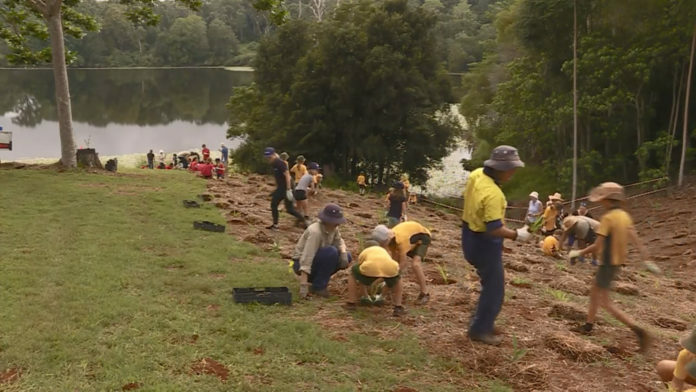 More than 150 school students took to the land today, planting trees at Rocky Creek Dam, to raise awareness about water consumption issues. It’s part of Rous County Council’s ‘160 litre challenge,’ asking residents to reduce their usage to prevent water restrictions. Council data shows the dam is close to exceeding its supply. You can head to the Rous County Council website to register for the challenge.